Are you looking to inject a little something extra into your regular design projects? Look no further! 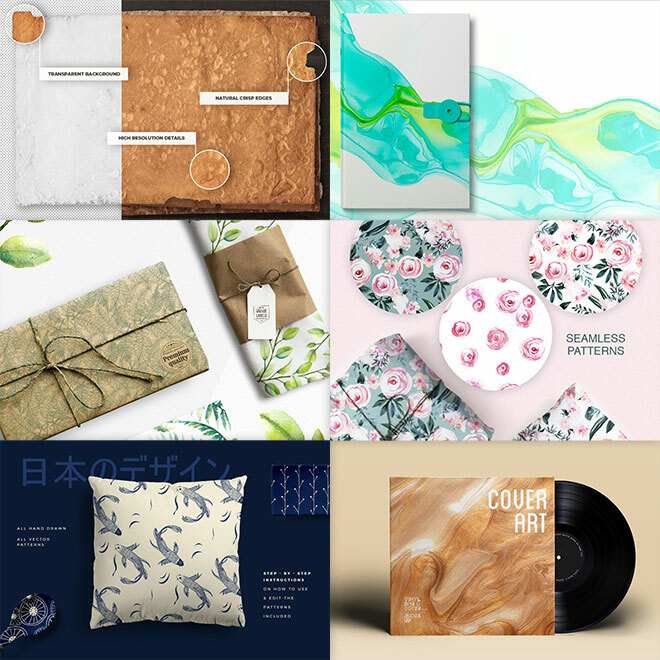 These awesome new textures and patterns are guaranteed to add some visual pizzazz to your design work. 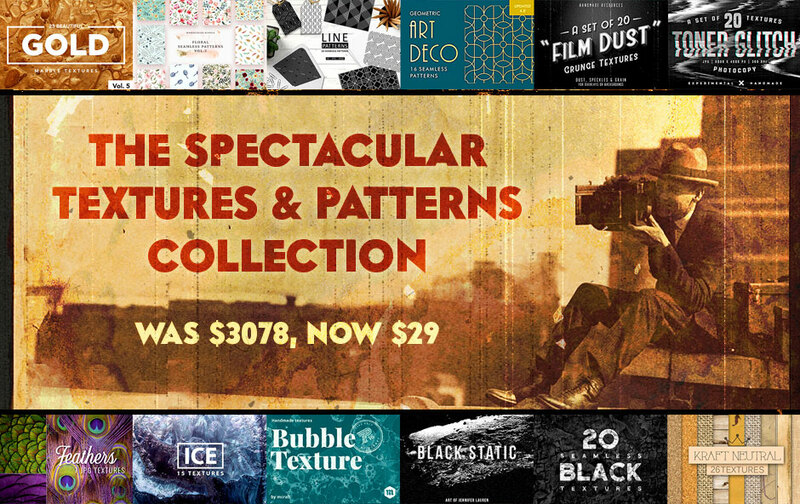 Within this 99% discounted textures and patterns collection you’ll find paper/card, gold, watercolour, florals, geometric goodness, art deco, grunge, craft, wood, topography and much more! The Spectacular Textures and Patterns Collection brings you the best one-of-a-kind, hand-crafted resources that the design world has to offer. The regular price for all these products is over $3000, but with the 99% discount on this bundle you have a unique opportunity to acquire them all for just $29!